What would a slice of bread be without butter? Before my vegan days I could eat garlic butter almost all the time. I enjoyed it over pasta, on bread, in stir fries, or over potatoes. 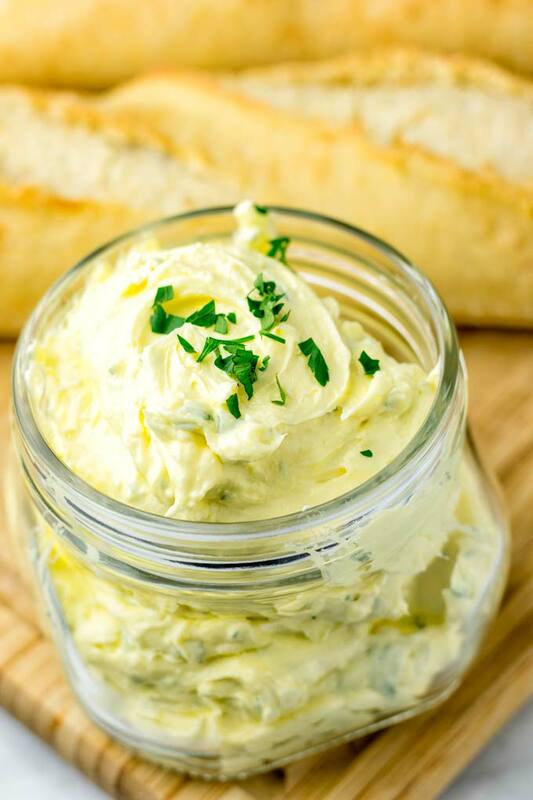 One of those condiments you can count on for so many things. With that in mind, you know I’m a big advocate of mac and cheese recipes and roasted garlic. Just like you can taste and smell in this Garlic Brussels Sprouts Mac and Cheese. Also I’m always on board for comfort food with this Vegetarian White Chili – amazing vegan food and it is ready in 25 minutes. If you haven’t tried it yet, I recommend you do it. It is a keeper for your must make easy dinner recipes. A reader fan favorite that even makes the ardent meat lovers begging for more in no time. Just the same is going to happen with this recipe. 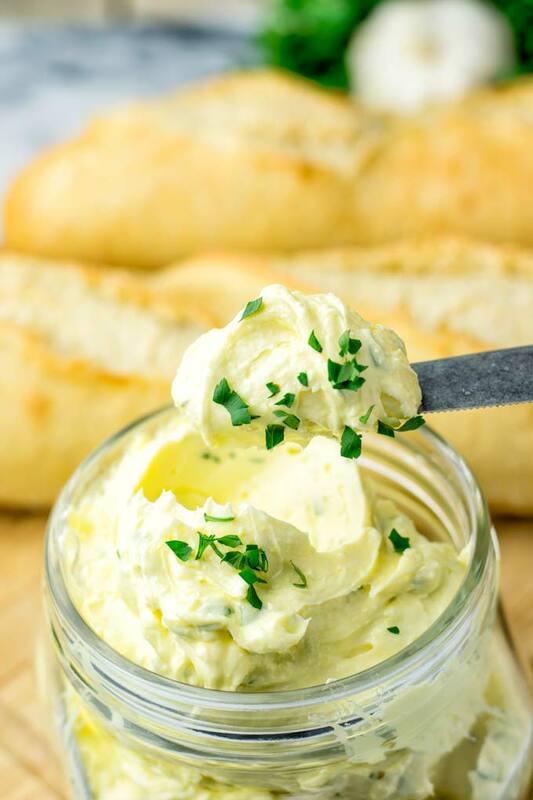 This garlic butter it is surely the best that you’ve ever tasted and made: creamy, rich, garlicky, savory, addictive, versatile and a must make for everyone that is into good and delicious food. That’s all what you need, isn’t it easy? Yes, it is! Enjoy the result on bread, pasta, rice, quinoa, or with stir fry vegetables. So many options to make this a whole meal and dish for you that the whole family will love. Also it is a staple for meal prep, lunch, dinner ideas and anything in between. I guess also totally delicious for quick breakfast. Just think about tofu scrambles like in this Vegan Breakfast Burrito with Tofu Scramble. 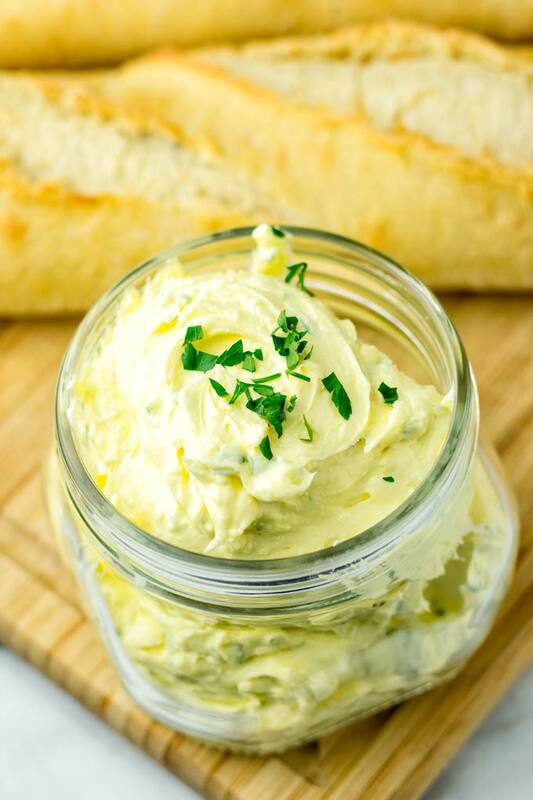 I made this garlic butter for a bunch of friends and no one could tell any difference to real butter. It was gone in no time and fast devoured by everyone so that I had to make another batch. For meal prep you can store it in fridge sealed with a lid on top for around 14 days. 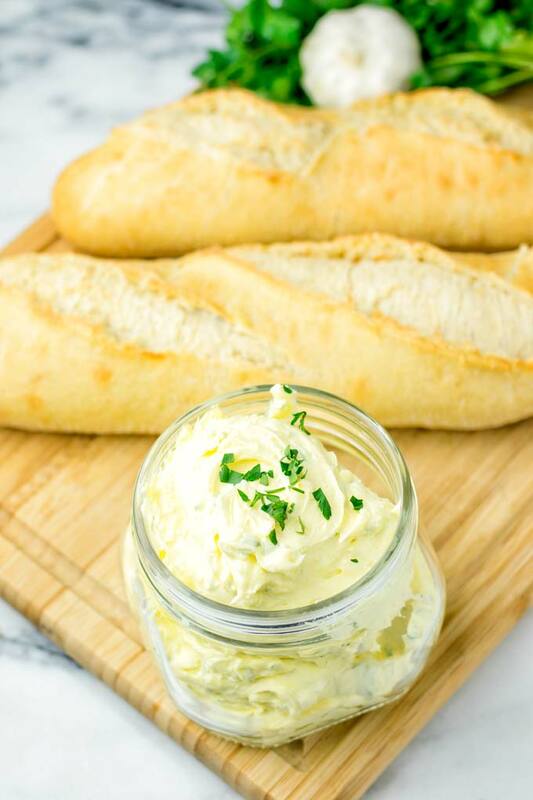 To make this vegan butter oil free, just leave out the olive oil and make sure that the butter is at room temperature. Otherwise it can be a bit hard to mix the ingredients. Black garlic: Time for something new: skip garlic and garlic powder and use black garlic instead. Because this version is a bit stronger so no need for garlic powder. 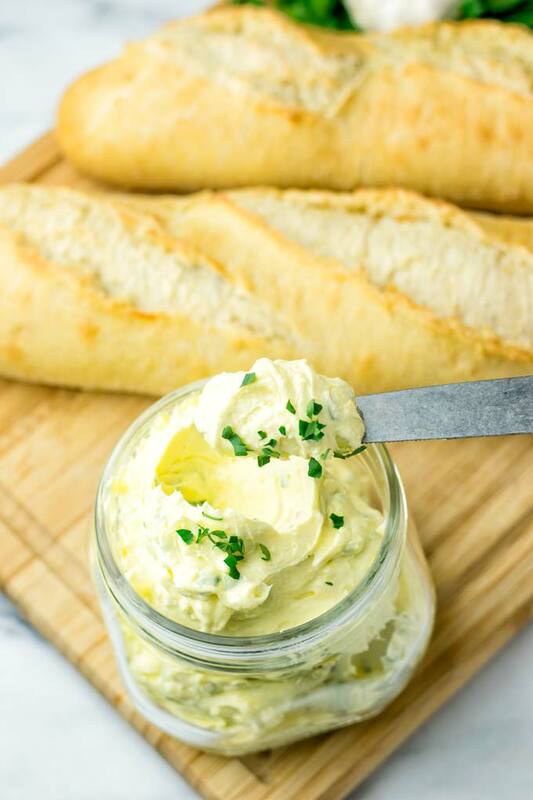 Appetizer ideas: just use your favorite bread and put some garlic butter on top and you have the best appetizers for your crowd. As finger food, simply use some lettuce and put a bit on top for flavor. No other seasoning is needed and it is done in no time. Also these make great low carb snacks. 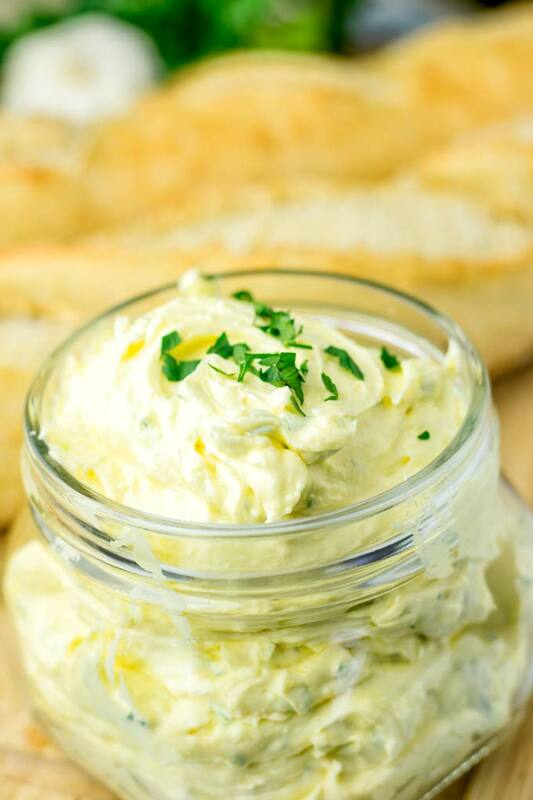 Garlic butter sauce: For pasta its never been easier to make garlic butter pasta. Just melt the dairy free butter in a small pot and give it over your pasta. 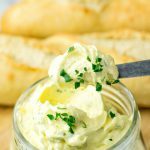 Garlic dipping sauce: Mix vegan mayo with a bit of melted garlic butter and you have a garlic dipping sauce for vegetables, chips and more. If you give this Garlic Butter a try, tag me on Instagram or Facebook with a snapped picture. So I can see all your fantastic remakes and uses.